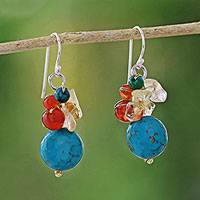 Hand Knotted Pearl and Lapis Lazuli Thai Earrings, "Exquisite Elegance"
Colorful Multi-Gem Cluster Earrings from India, "Vibrancy"
Carnelian and Garnet Beaded Dangle Earrings, "Green Earth"
Apatite and Tanzanite Cluster Dangle Earrings from Thailand, "Happy Sky"
Complete Your Look with Yellow Citrine Earrings! 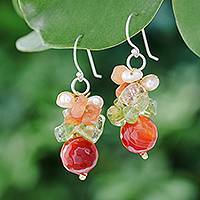 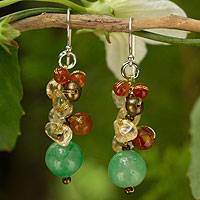 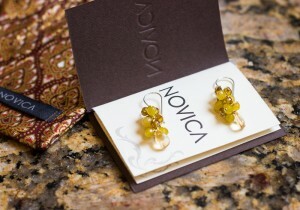 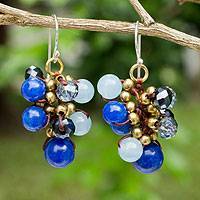 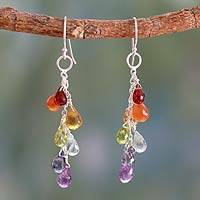 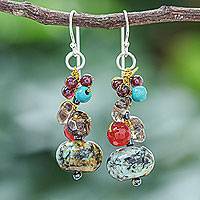 Explore Novica's Cluster Earring collection and find unique handcrafted cluster earrings created by talented artisans around the globe. 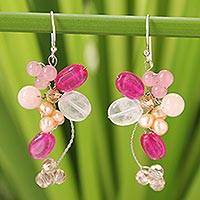 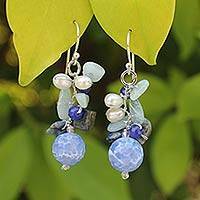 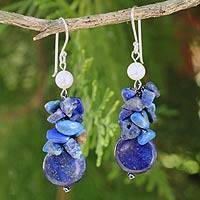 Our collection features sterling silver, pearl, amethyst, and quartz cluster earrings.